The Solution to The Pothole Problem in Britain? It's no secret that Britain's roads are in a dire state. The Asphalt Industry Alliance estimated earlier this year that it would cost £12 billion and take 12 years to return the UK's road network to good condition. After years of negligible road maintenance and bad weather, potholes, cracks and general deterioration is evident on nearly every stretch of tarmac in the country. However, a new treatment could provide an answer, and local authorities are now using it on C roads used by farmers and residents of rural areas. The system is called Velocity and is alleged to fill in potholes more economically and faster than any other method. An 18 tonne truck and a three man team are used to clean the damaged areas of road with compressed air. A pressure hose then forces a cold emulsion into crevices and cracks, creating a complete seal against water ingress, a major cause of potholes. To finish, a stone based aggregate and emulsion mix is pressure propelled onto the damaged area and levelled off. A pass with a Wacker and that's it, potholes are filled in just minutes. This is a massive contrast to the traditional system, which relies upon tedious wheelbarrows and heated material in a process that can take hours for each pothole. Furthermore, the Velocity truck moves on so quickly that roads generally do not need to be closed to perform repairs - if a car needs to pass, the truck simply pulls over, while the repaired surface is ready to drive on immediately by vehicles up to 44 tonnes in weight. Apparently, the Velocity team can accomplish 150-200 road repairs in a single day. The company concedes that its system is not a permanent repair, lasting two to three years on average, and that the Highways Agency needs to take a longer term approach to roads maintenance. 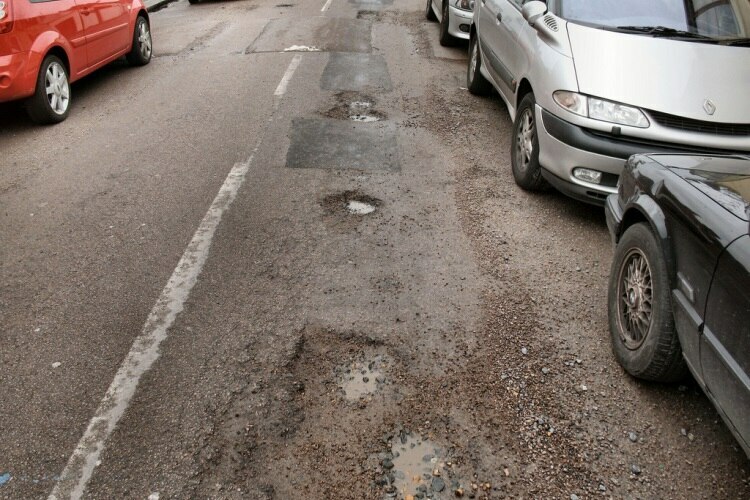 However in the meantime, Velocity could cut the cost of filling a pothole from the current average of £55 to £18, which must be a tempting solution to cash poor local councils. The company has been flat out countrywide this summer, thanks to the release of new government funding for roads maintenance. Unfortunately, this system is not a solution in heavily used urban areas or on busy A and B roads, as the high pressure stone mix can cause damage. The only answer in these cases is a complete resurfacing.